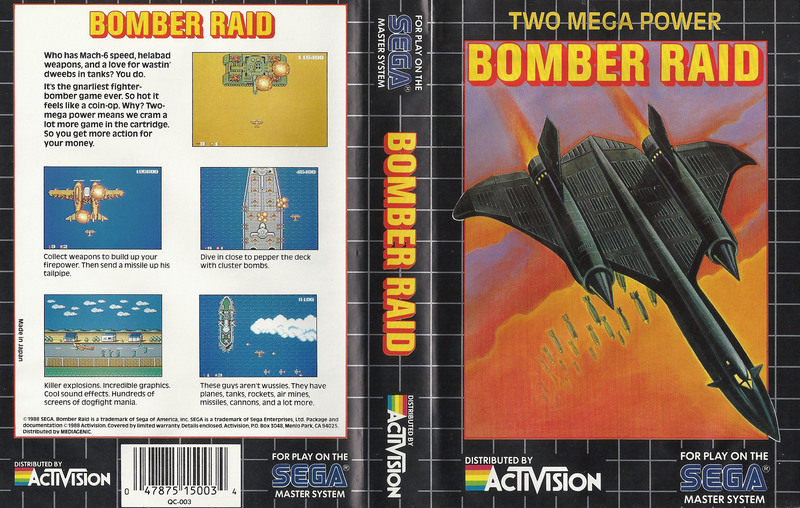 Bomber Raid (ボンバーレイド) - USA All sides - Scans - SMS Power! Collect weapons to build up your firepower. Then send a missile up his tailpipe. Dive in close to pepper the deck with cluster bombs. Killer explosions. Incredible graphics. Cool sound effects. Hundreds of screens of dogfight mania. These guys aren't wussies. They have planes, tanks, rockets, air mines, missiles, cannons, and a lot more.